The update process to iOS 7 has been known to be disrupted by a really annoying error 9006 message in iTunes. So what is this error and what can you do about it? OK, this might sound a bit silly, but the first thing you try is simply close iTunes and restart the whole update process. Many of you probably already did that and it certainly doesn’t sound like much of a fix, but is seems to have worked for some people. In any case, it’s a quick and easy process, so it’s worth a try. If that doesn’t work, read on to find some more substantial tips. There could be a number of things wrong with your internet connection you could source the issue to. For example, the connection could be too slow. Try installing the updating via a WiFi connection to make sure it runs as fast as possible. Also, refrain from streaming video or music while the process takes place. In fact, don’t browse the internet at all on your device during this time. You can also try restarting your modem. To do that, simply turn it off (look for the Off button, or just unplug it from its power source), wait for 10-20 seconds, and then turn it on again. Antivirus software and firewalls have also been known to interfere with the update process. 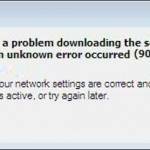 If the error 9006 message still pops up after trying the other fixes presented here, try disabling any security software you have installed. As a last resort, you might even want to uninstall the programs completely (if you’ve tried everything else and think they are to blame). Finally, check to see if phobos.apple.com or albert.apple.com are not blocked in your firewall software. 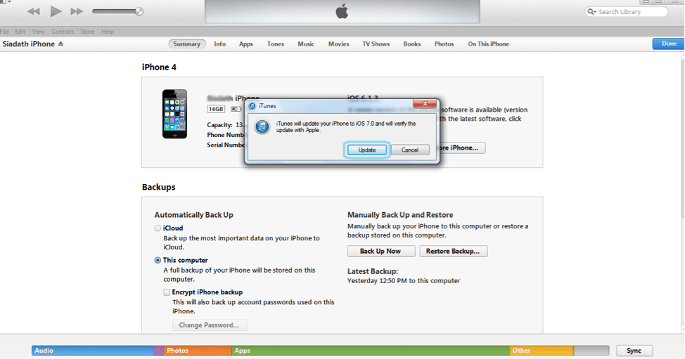 You can also download the IPSW for your device and update or restore the software manually. To do that, simply go to IPSWHUB.com and look for the IPSW for your device. Download the file and, for convenience, place it somewhere you can easily access it. Now open iTunes and select your device. Next, press either Shift (if you’re on a PC) or Option (if you’re on a Mac), and click Restore, then find the IPSW file you’ve just downloaded. Hit Restore once again and wait for iTunes to complete the process. This should now happen without the error occurring. To quickly access the AppData folder, go to Start, Search, and look for %appdata%. Have any of these tips been helpful with solving error 9006? Let us know in the comments below!